Our experience with Kaweka Hunting started when we landed at Napier Airport. We were met and taken on a small tour around Napier to a winery and lookout. We then headed to Kaweka Hunting. When we got to the lodge, we were introduced to our guide, Marcus, a young guide who was very knowledgeable and personable. Marcus, who is at least 6 foot 6 inches, helped us on our hunt by keeping his strides short so he wouldn’t leave us behind. The chef, Dan, was very exceptional at his trade. He fixed the game that was shot so that it would melt in your mouth. Suzie, the manager at the lodge, made us feel like we had known her for years. She was very helpful with anything that we needed. Rob, the owner, was always at the lodge even though he lived farther away. We were able to get fantastic animals (Red Stag, Arapawa ram, goat, and Fallow deer) under the guidance of Marcus. After our hunt was over, Marcus showed us the national park and some of the countryside. We will probably be back in a few more years to get another Red Stag and a Sika deer. All of the staff made this hunt a once-in-a-lifetime experience.. If you are ever in Las Vegas or some place close to here, please give us a call so we can see you again. We miss you already. 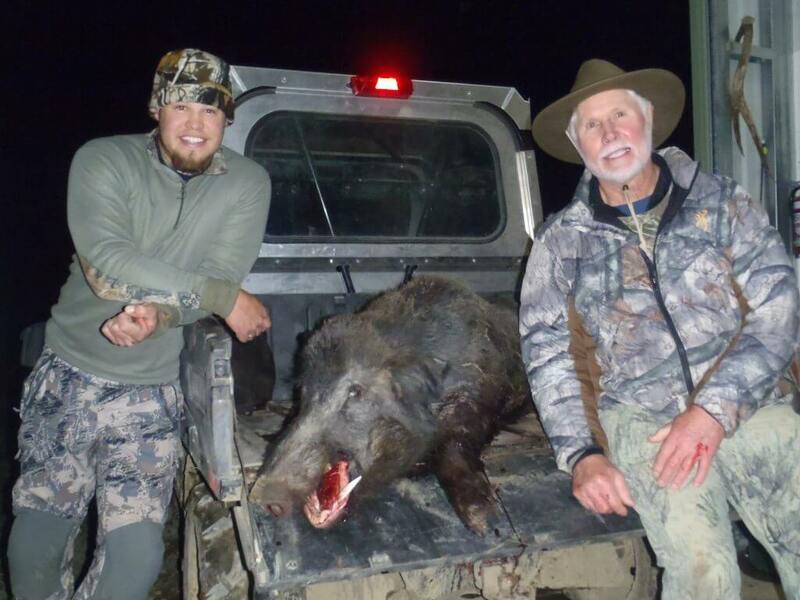 My son Ryan and I hunted with Rob at his Kaweka Hunting Lodge in N.Z. in May this year. Every hunt to me is judged on how memorable and enjoyable the experience. Kaweka Lodge is first class and sits at the foot of rolling green hills with snow capped mountains in the back drop. The chef, Dan, prepared meals normally found in 5 star dinning with fresh baked breads and deserts.The hostess, Suzie took care of our every need. Rob and Pat, our guides were knowledgeable hunters versed on the game and area, but more important they were fun to hunt and hang with. On top of good accommodations, great food and companionship Ryan took a Sambar, at this time scoring # 3 SCI, along with a great Rusa and Sika. My Sambar, at this time, scores #10 SCI. I also took a great Fallow and Sika but the frosting on the cake was being able to take a White turkey, I have only heard of a few and never seen one. I would recommend Rob and Kaweka Hunting to any avid hunter or for a family hunting trip, the game is exceptional and experience memorable. Kaweka Hunting is a first class operation. 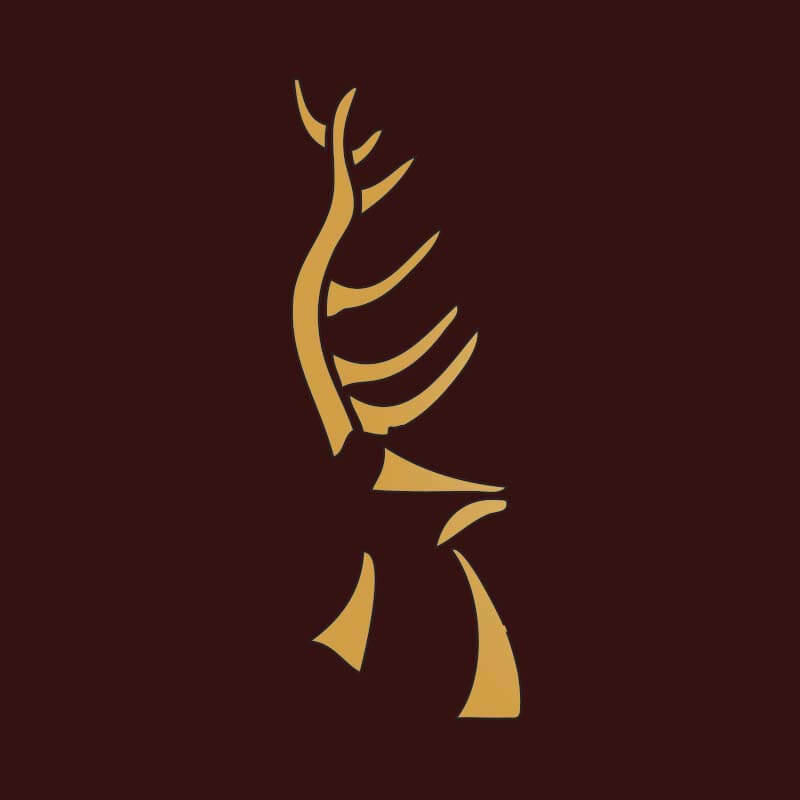 From the world class animals, the great food and the wonderful staff, to the fabulous lodge. Kaweka Hunting can’t be beaten. Rob, I would like to thank you for making my dream hunt a memorable one. Everything is first class. Pat, Marcus and Lee worked their tails off guiding the three of us. We couldn’t say enough to thank them. The food was 5 star please thank Dan for us. Suzie is great as a Tour Guide, it was nice to get out and see a bit more of New Zealand. You all went out of your way to make it fantastic. Thank you. High rating from me. Lodge was very comfortable. Lots of game and scenery. All the staff were fun, especially Suzie! Best vacation I’ve had in a long time. My experience here with Kaweka Hunting was way better than I had ever dreamed of. 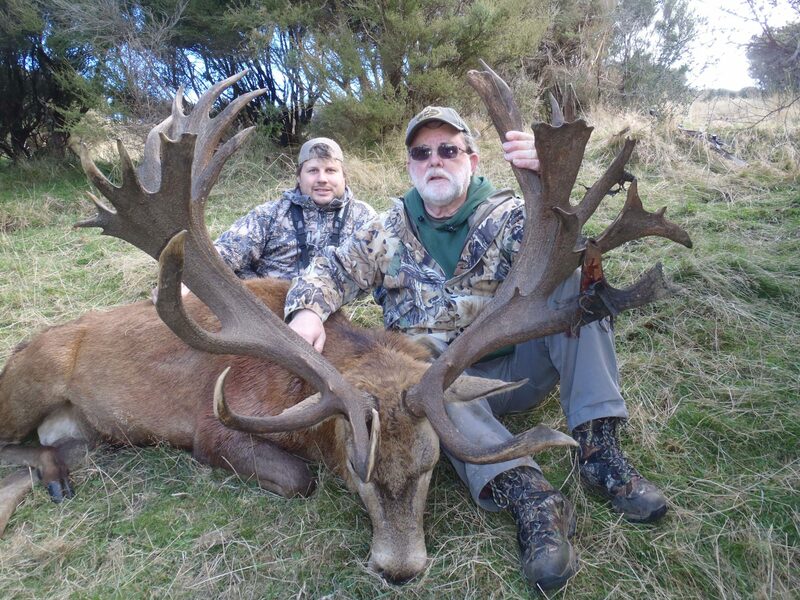 It’s been a 25 year dream of mine to do the New Zealand Red Stag hunt. Just the overall quality of it all was breath taking! The whole staff team makes me feel like I’m part of the family. The food was super impressive. The game there was all very tempting. I will be back! I can’t thank you all enough for making our journey, such a wonderful memory. You all are just great people to be around, and the journey with you will be in our memories for ever. What a great adventure we had with you. It began with being picked up in Napier and it lasted until we were dropped off in Napier at the airport. Each day was an adventure, Pat, Lee, and Marcus worked very hard to keep us entertained out in the bush. Suzie was great! What a hoot! Love that gal, she is always so cheery. The meals prepared for us were top quality, I still don’t know half of what I ate, but it was all good. Thank you Dan! Rob, you are quite a busy guy keeping your lodge running so smoothly and making sure all is just right. I wish I would have had the opportunity to just chat with you. It seems we were always coming in late with an animal in the cart or we were just tired. Whatever the case that is my only regret. I thank you for Tim, Janelle, and myself for treating us to a great time from daylight till dawn and later. THANKS! 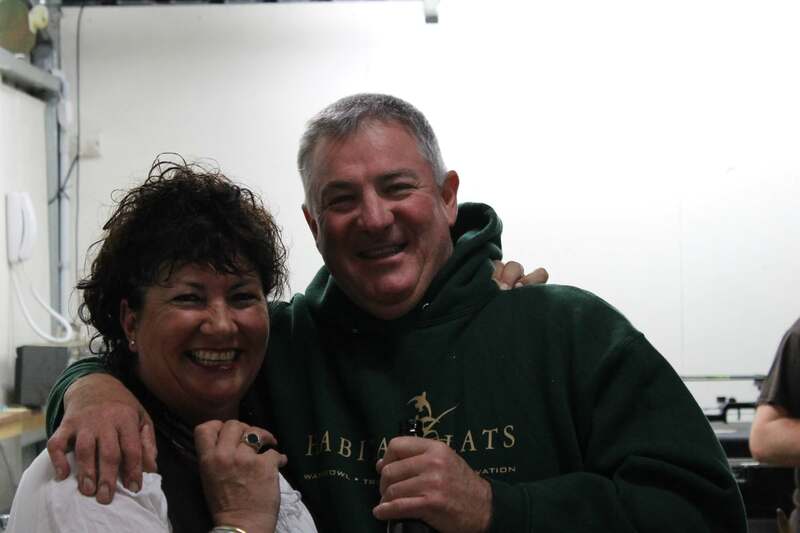 We had a wonderful hunting experience on our visit to Kaweka Hunting in March 2013! Just imagine sitting on beautiful rolling hills, listening to mating calls from several species of animals. That’s Kaweka Hunting! Our guide, Pat, helped Al get a fantastic trophy Sika Deer and I, a beautiful white Red Stag! We didn’t even know Red Stag came white! Daniel delighted us with his culinary skills and Suzie took us on a beautiful nature walk. There are a lot of things to see and do in the area. We are planning a trip back to Kaweka Hunting for Sambar and Rusa. The accommodations were first rate. Rob Holt, owner, even has a hot tub available after a long days hunt! Just writing you to thank you again for the experience of a lifetime! My hunt with Kaweka Hunting was above and beyond my expectations. The quality and wariness of the animals made for one of the best bow hunting trips I have had and the accommodation’s were second to none. The food was amazing! 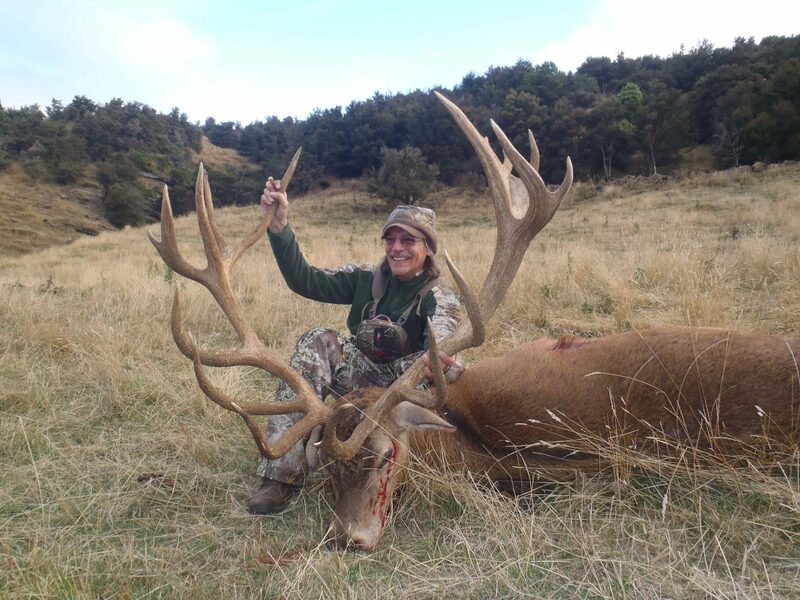 In April of 2013 I visited the good folks at Kaweka Hunting in NZ for the second time, in quest of another Red Deer with a different formation of antlers than the more ‘typical’ rack I was able to take on the previous hunt. Rob Holt and his staff of guides put forth a great effort and, after 3 days of stalking, seeing many quality animals or various varieties, some near shot opportunities, and unfortunately a couple of misses….we were able to complete the perfect stalk and drive an Epek Broadhead through this awesome animal. Epek did its job well as I have never dropped an animal of this size so quickly! In addition to this great hunting, our group enjoyed ‘second to none’ gourmet cooking, top notch lodging, and great conversation with some very nice people on Rob’s staff. If the conversation ever slowed, we would just stir Suzie up a bit and the laughter was back on! Thanks again for a great time!!! !